June 16 – 21, 2013 we held a Daily Vacation Bible School in Wake Village, Texas for two fellowshipping churches: Lighthouse Baptist Fellowship in Texarkana, Arkansas and Twin Cities Baptist Temple in Wake Village, Texas. Our theme was the “Western Round up” focusing on the word RANCH. We averaged around 100 in attendance with children and adult helpers. Because Twin Cities had a bus, they were able to bring in many children that normally do not attend church. We made sure that they had a good treat for a snack and exciting stories from the Word of God. Several of the children worked on their memory verse for the day and tried to quote those more than once. During the week they enjoyed the singing the memory verses put to music and “I am in the Lords army”. We are rejoicing in the 16 children that trusted in Christ as their Savior. Please pray that they will keep coming to church and that they will grow in their new found hope in Christ. 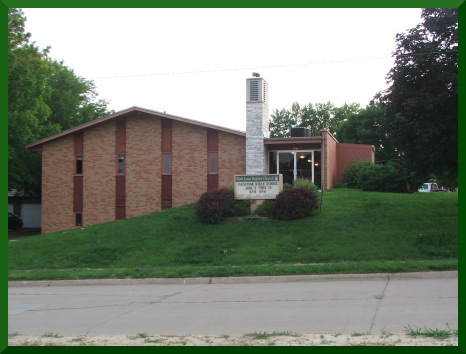 On June 9-13, we held our second Vacation Bible School at the Park Lane Baptist Church in Omaha, Nebraska. One of the girls who responded came for assurance. The other girl who responded thought that after death if she was bad she would go to Hell and if she was good she will return to earth as an animal. Yet, she also said she has believed in Jesus as her Savior. Jane tried to explain to her that it was appointed onto man to die once and after that the Judgment. Please pray that she will soon understand the gospel and respond to the Savior. During the week Caleb was able to practice his driving just north of Omaha. He is working on his sharp turns and still stay in his own lane. 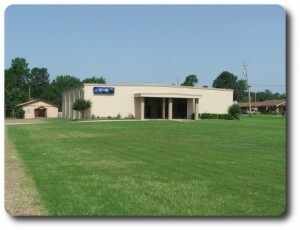 We finished our week on Thursday, so that we would have time to make the trip for our next Vacation Bible School in Texarkana, Texas. Our first week of Vacation Bible School was held at Grace Baptist Church in Omaha, Nebraska. This summer our Vacation Bible School theme is the Western Round – Up. We had around 20 children each day. Praise the Lord; seven trusted Christ as their Savior. During the week Caleb continued to finish his schoolwork from his Freshman year. On Tuesday, one of the families in the church used their yearly pass to admit us into the Omaha Zoo which is located just down the road south of Grace. Because our next VBS was also in Omaha, we were able to have some family time enjoying the Omaha Farmer’s Market and the Omaha Summer Arts Festival both in the Old Market. To top off the week we are working with Jesse McConnell to print some more prayer cards. We thank you for all your prayers for our ministry in evangelism. 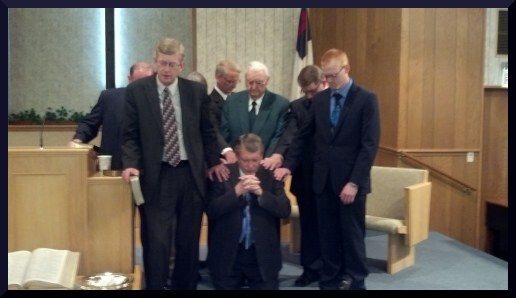 Our CIBM conference was held at Calvary Baptist Church in Pontiac, Illinois, May 19 – 22, 2013. The conference started with the installation of our new president, Mark Staley who serves as a CIBM evangelist and co-pastor of Calvary Baptist Church in Pontiac. This year, each evening, I directed the congregational singing and Jane played the piano. It was thrilling to hear how God has answered pray and has worked through the evangelists this past year. On Wednesday of the conference, Jane and Caleb drove to Pierceton, Indiana to visit her family and to have dental work done. Jane had a molar that had abscessed and the end result was that she had a root canal the following Tuesday. Many of Jane’s extended family visited while she was there including her brother Jerry and his family from Ohio, her uncle and aunt from New York and her dad’s cousin Kenny Sarver and his wife Delores. They also attended a cousin’s reunion near Fort Wayne. 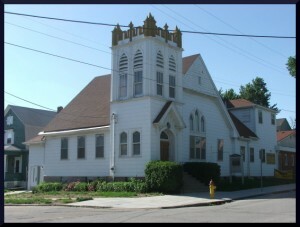 Meanwhile I stayed at Calvary in Pontiac and preached Sunday, May 26. I enjoyed the fellowship with Pastor Staley and his wife Nancy, as well as times of friendship and fellowship with members of the congregation. You are currently browsing the Silcott Ministries blog archives for June, 2013.